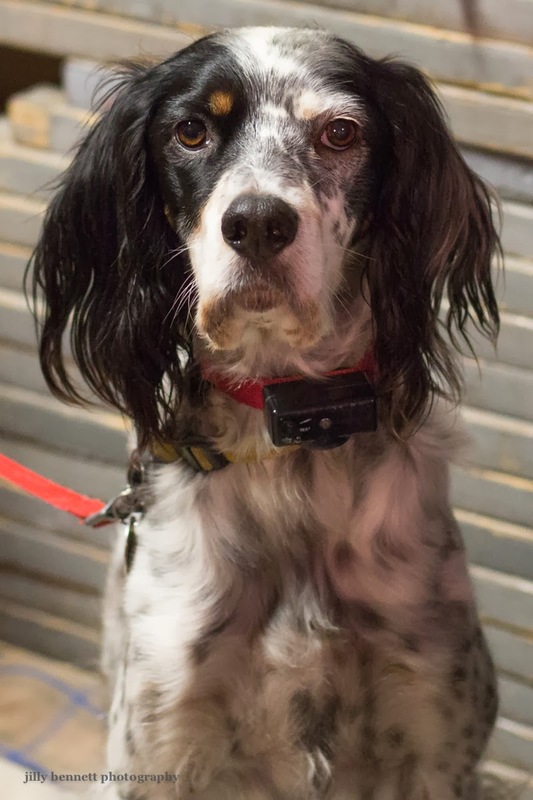 This is Sadie, a 9 year old English setter who lives in Monaco. The box, attached to her collar, is an anti-bark collar. I met her at the Kermesse in Monaco last November. Oh that box .... she can't say "Happy Valentines Day Jilly" !! !